Similar game to Commander Keen HELP! Re: Similar game to Commander Keen HELP! Judging by the size of that window you posted above though, it might actually be a Game Maker or a flash game. Good luck finding it. might be a stupid question, but why don't take a shortcut and simply ask your friend who gave you this game bundle? reviving this, anyone have some more ideas ? Iam still not able to find it but it was so similar to the Bionic Commando, ive already played that Bionic Commando but the 1st Mission is very similar to that game..
You start by dropping with parachute, when you come foward you will see your Allies, one is on huge tree and one is standing in front of doors with Rocket launcher. When you go inside you will saw some enemies, if they go too close to you and shoot the pal' with rocket launcher, he will kill him. OH MY GOD I FOUND IT! OMG!!! Wow. Congratulations! How did you find it? Never seen this game before. holy cripes on toast, what am I looking at? 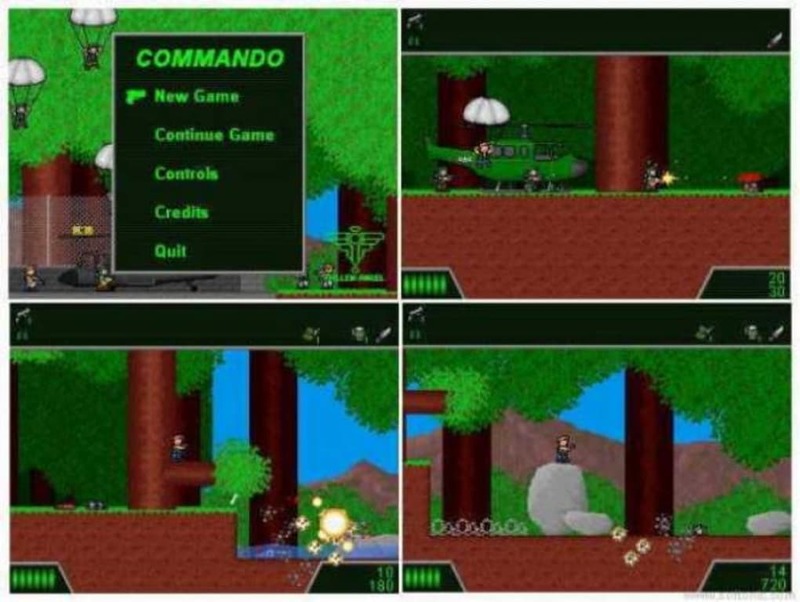 I typed commando (video game) in google and starts to click on every picture and checking the similar ones, and as i though this game is so small, i had to put 800x600 res. on screen for it. 1:34:30 thats the level i painted on first picture with turrets down there.